*Make sure you have a good internet connection to get the best experience. 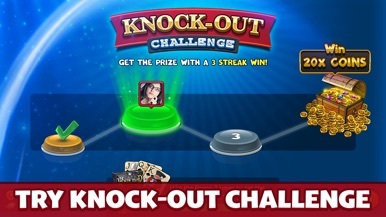 *The game is free to play; however, in-app purchases are available for additional content and in-game currency. In-app purchases range from $0.99 to $99.99 USD. 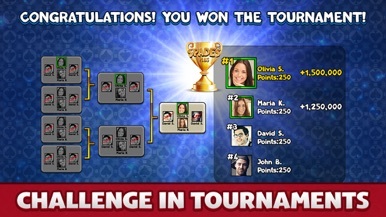 *Use of this application is governed by Zynga’s Terms of Service, found at www.zynga.com/legal/terms-of-service. 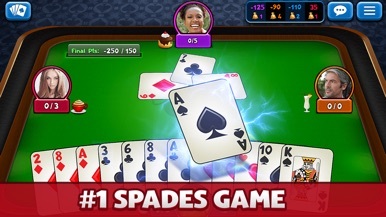 Spades Plus has monthly Subscriptions that allow you unlock Emoji, Table Colors and Remaining Cards features unlimited and get additional game currencies every day. Prices are in United States dollars and will be converted to the local currency or your country of residence. 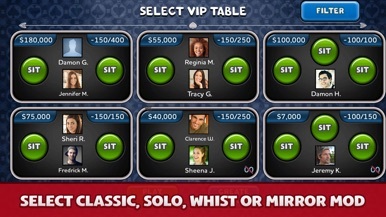 Pricing and other subscription details are subject to change upon prior notice by Zynga. Subscriptions automatically renew unless auto- renew is cancelled in your Device Settings at least 24-hours before the end of the subscription period. Additionally, auto-renewals may be turned off in your Device Settings after purchase. Your iTunes Account will be charged when the purchase is confirmed. Refunds will not be provided for the unused portion of any term. Thanks for - App store(South Korea) "Photo&Video category Rank.5"